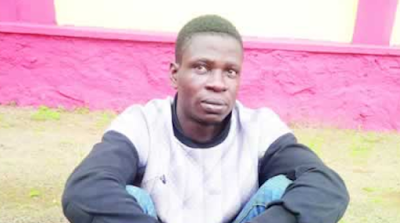 The Ogun State Police Command has arrested a 33-year-old farmer, Azeez Kelani, for allegedly hacking his colleague, David Adima, to death after stealing his crop. Punch Metro learnt that Kelani had gone to Adima’s farm at Sojuolu village, Ibogun, in the Ewekoro Local Government Area of the state to steal some tubers of cassava. It was gathered that Adima, who hailed from Benue State, caught the suspect in the act and raised the alarm. The suspect, who was armed with a machete, reportedly resorted to force and eventually slit the man’s throat with the cutlass. The victim was said to have bled to death.